Rosbank teamed up with Hello Computer for a unique interactive urban art project. In a world full of technological innovation, multiple industries are revolutionising into new forms as technology becomes integrated across many fields - including contemporary art. Pioneered by the computer, digital design as we know it was sparked by the creation of computer-generated animations that were hand-crafted by 3D artists - that is, human artists. Imagine a robotic artist that not only can paint like its human counterparts, but also can analyse its surrounding environment and incorporate real passersby into its creations. On 19 June, French bank Rosbank teamed up with Russian robot manufacturer Hello Computer to implement an urban development project that featured a unique interaction with a robotic artist and thousands of mesmerised citizens. 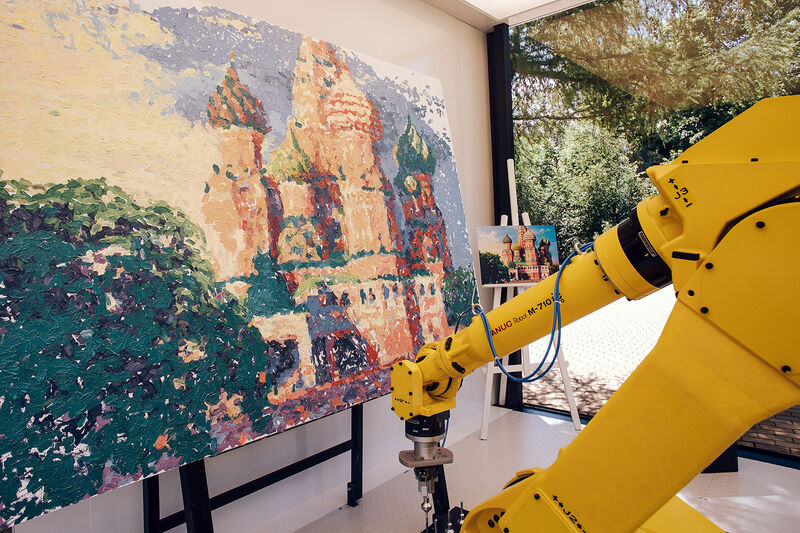 For two weeks in Sokolniki Park, Moscow, Russian citizens watched in delight as a robot working in a glass cube lowered a mechanical hand to create, like real artists, beautiful masterpieces. 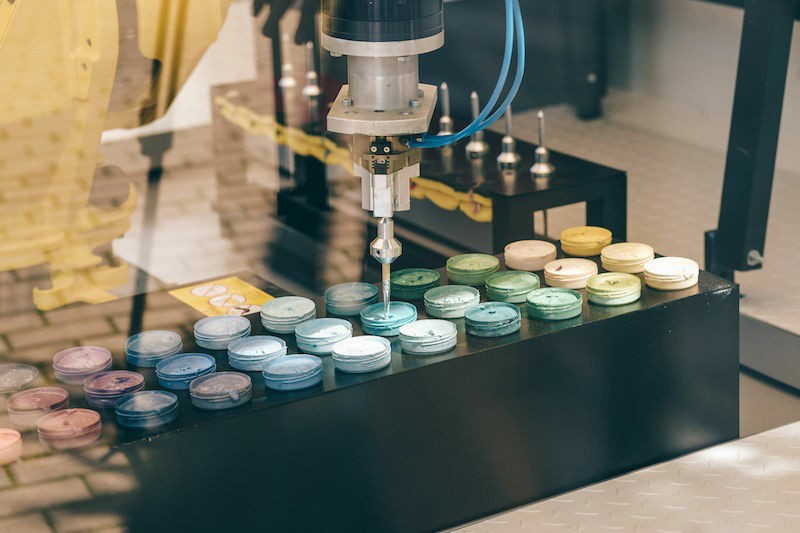 According to developers, the path from creative idea to actual implementation was quite long, as no industrial robot had yet been taught to draw. It took many months of researching, prototyping, developing and searching until the team produced suitable hardware to bring their idea to life. Once achieved, an even bigger challenge presented itself: no robot had ever been taught to draw. Similarly to teaching a child, an artist spent hours painting in long strokes - a Monet style - simulating the movements of a robotic arm. The robotic toddler soon became an impressionist master, and even inherited unprecedented emotional capacities. A developer jokes, “once we were carrying out tests [and] he crossed out the picture which was almost completed. Apparently, it was not pleased with the result”! The robot draws in a Monet-style of impressionism according to a predetermined scheme. For the Rosbank and Hello Computer collaboration, two iconic symbols of Moscow were selected for the robot-artist to recreate: St. Basil’s Cathedral and the arches in Sokolniki Park. Photos of these symbols are downloaded into the Robot’s base. Each landscape contains 42 colours and its respective map of strokes, which the robot then reproduces in a beautiful illustration. 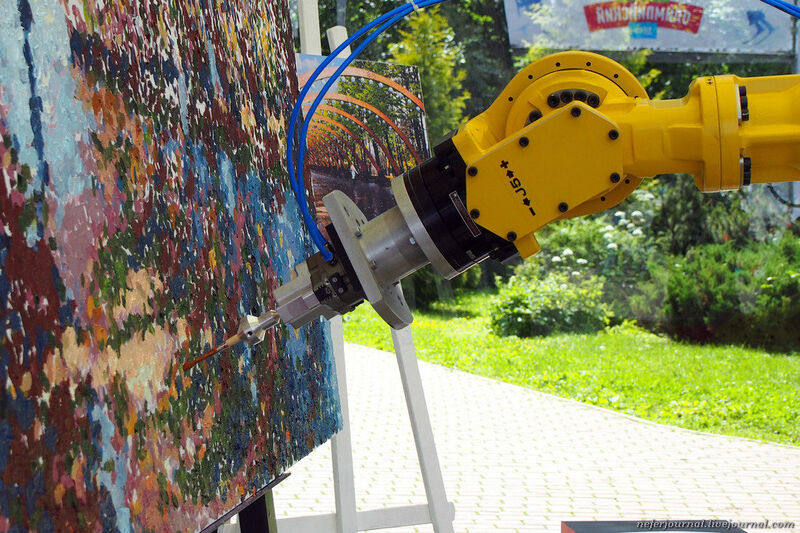 The creative capacity of this robot goes one step further, and using a colour scanner, it allowed Moscow residents to become co-creators of the first paintings of a robotic artist. The scanner examines participants strolling through Sokolniki Park to determine the colours of the clothes of those in the photozone. Then, the robot chooses the appropriate shades to incorporate in the palette and applies the strokes on certain stroke maps. "We wanted the city installation to be something more than just spectacular and impressive, - we wanted it to be involving. So that the citizens would not only stand by and express their delight with an ordinary "wow! ", but take part and feel the commitment to art and technology, "explains Maxim Yakhontov from “Hello Computer”. Everyone who partook in the painting can visit the project website to find themselves on the virtual canvas and discover which colours are the most popular among Moscow residents. The robot artists needs 40 hours of permanent work, 2 litres of paint, 1,300 people scanned and about 20,000 touches to create one picture. Not only did the robot entice several thousand mesmerised observers, but it also attracted international attention. The Robot was sent to the International Exhibition Innoprom in Yekaterinburg where it was presented as a one-of-a-kind project that combined technology, art and community.